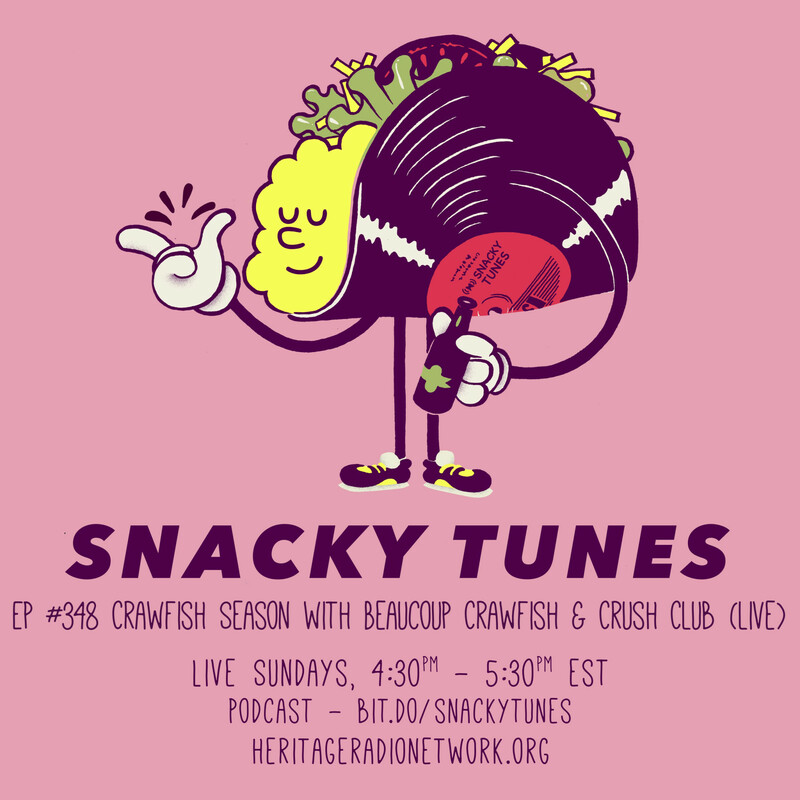 We’re smack-dab in the middle of crawfish season, and to help us celebrate we meet up with Chef Mark Grandpre of Los Angeles’ Beaucoup Crawfish Catering. Mark’s a New Orleans native who migrated to the West Coast 20 years ago to pursue a career as a basketball coach and teacher. He’s still working the court and classroom during the week, but on the weekends he’s drawing in the masses with his delectable crawfish boils and Creole cooking. Brooklyn pop dance duo, Crush Club, cruises into the studio and gets us groovin’ with a live performance. Wielding funk, house and Latin-style percussion influences, the band’s garnered a strong following with popular singles like “Louder” and “We Dance.” They talk to us in depth about dance lyrics, and the all important bass bod.